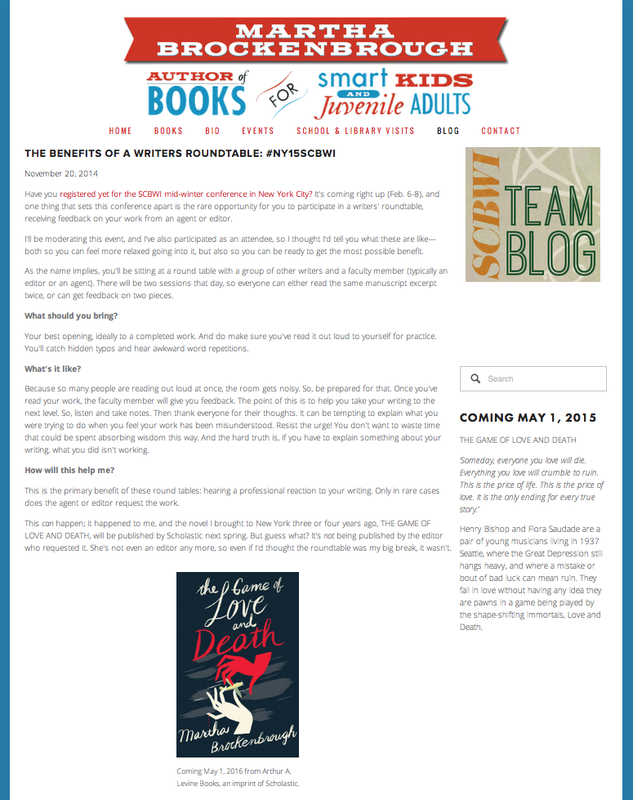 Check out this very informative post, The Benefits of A Writers' Roundtable, by author and team blog member Martha Brockenbrough. 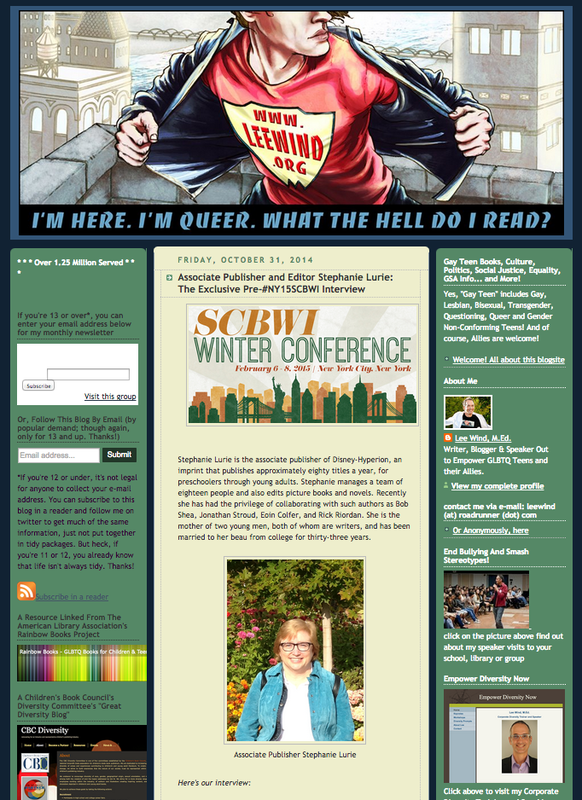 In it, Martha tells us about the Writers Roundtable Intensive at the upcoming 2015 SCBWI Winter Conference in New York City, February 6-8. In addition to sharing what happened to her four years ago at the roundtable, Martha is now the intensive's moderator, and shares her thoughts on how to maximize this remarkable opportunity. Jessica Dandino Garrison is senior editor at Dial Books for Young Readers and edits picture books, middle grade and young adult novels. In our interview, we discuss the upcoming 2015 SCBWI Winter conference, her take on writers trying to do it all, got the scoop on her rule-breaking picture book breakout sessions, and learned more about the process of selecting an illustrator for a picture book manuscript. She even shares some of her favorite childhood books! 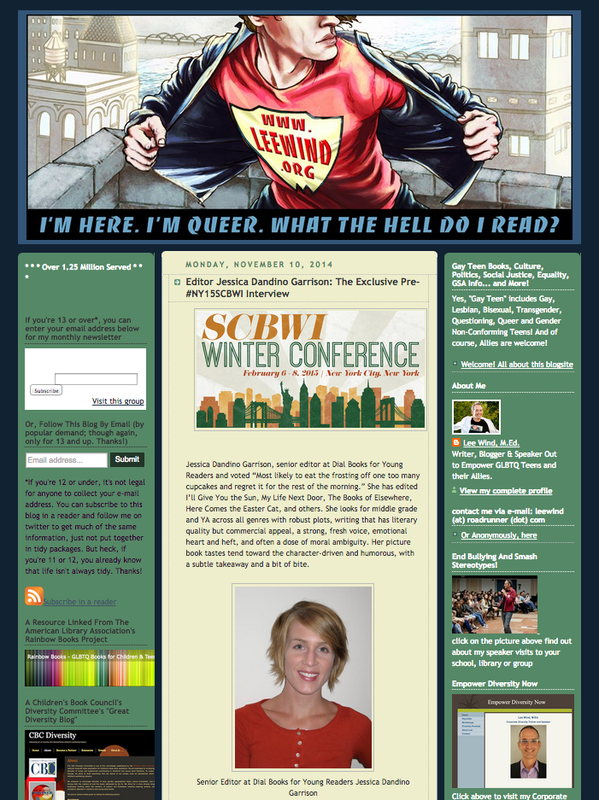 If you'd like to attend Jessica's session and be part of all the craft, opportunity, inspiration, business and community of SCBWI's Winter Conference, we hope you'll join us in New York City, February 6-8, 2015. You can find out all the details and register here. Emma Dryden has edited over a thousand books for children and young readers and many of her titles hit bestseller lists in USA Today, the New York Times, Washington Post, and Publishers Weekly. Books published under Emma’s guidance have received numerous awards and medals, including but not limited to, the Newbery Medal, Newbery Honor, and Caldecott Honor. 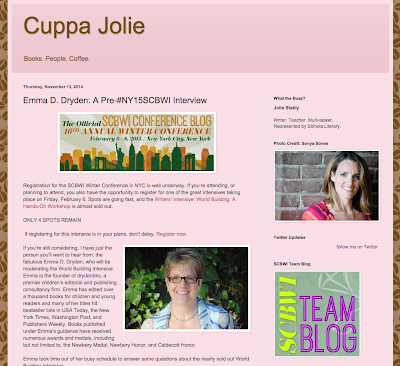 Check out the great interview with Emma Dryden at Jolie Stekly's blog! Team Blogger Jolie Stekly chatted with Emma to get the scoop on the World Building Writer's Intensive at the upcoming 2015 SCBWI Winter Conference, Feb 6-8! We hope you join us. You can find out all the intensive and conference information, and register, here. Stephanie Lurie is the associate publisher of Disney-Hyperion, an imprint that publishes approximately eighty titles a year, for preschoolers through young adults. Stephanie manages a team of eighteen people and also edits picture books and novels. In our interview, I asked Stephanie to tell us what she's most looking forward to hearing from her fellow panelists on the Saturday morning Keynote Editors' panel, "Children's Books 2015: Report from the Front Lines." Her fellow panlists will be Justin Chanda (Simon & Schuster), Laura Godwin (Henry Holt) and Beverly Horowitz (Delacorte)! 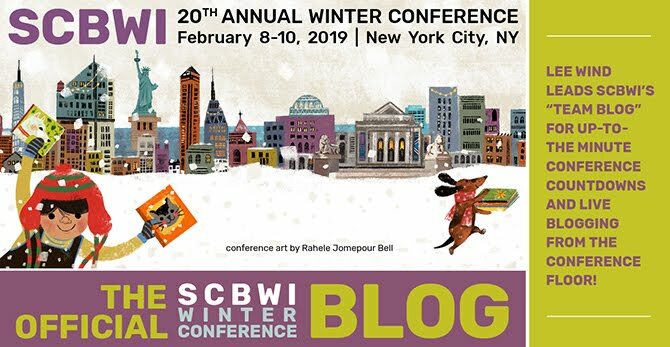 And to find out more about the upcoming SCBWI Winter Conference in New York City, February 6-8, 2015, you can find out all the details and register here.